Robert Reffkin is the CEO of Urban Compass. Describe what you do in one sentence: I guide the strategy of Urban Compass by hiring talented and passionate people and empowering them to solve big problems. Robert Reffkin (right) ran 50 marathons in 50 states to raise $1 million for nonprofits. 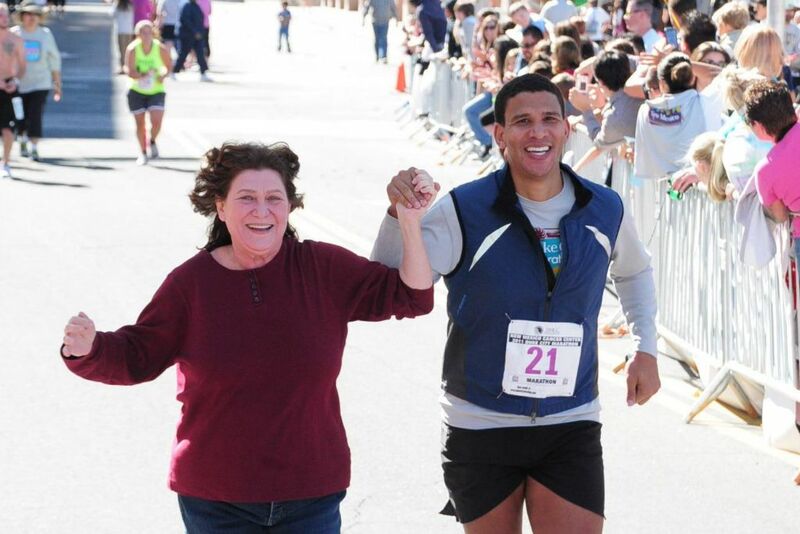 His mom (left) attended almost all of the marathons with him. Spending time with my amazing wife, Benis, and my 1-year-old daughter, Raia. I haven’t reread any of the classics recently but just read a great book called “The Hard Thing About Hard Things” by Ben Horowitz. I would highly recommend it to anyone building a company. My mom is an entrepreneur. She immigrated to the United States from Israel, which to me is the greatest entrepreneurial effort one can make. My co-founder, Ori Allon, and I wanted to combine his technology expertise with my business and strategic partnerships background to bring technology to a space that didn’t have it. We arrived at real estate because it touches everyone and it’s the largest sector of the economy without great technology. Early on, we structured our agent compensation in a way that would limit our ability to deliver the best service to our customers. We initially thought that we could hire agents on salary but quickly learned firsthand that the best way to improve the home search process is to hire experienced, best-in-class agents, most of whom work on commission. When we initially realized that this structure would not work, it was definitely a hard time for me. However, when I look back at all we have done as a company, I am most proud of our ability to make this shift within three months of launching and to quickly pivot to our current approach, which has been incredibly successful. In general, our ability to constantly innovate and not be complacent with what we’re building. 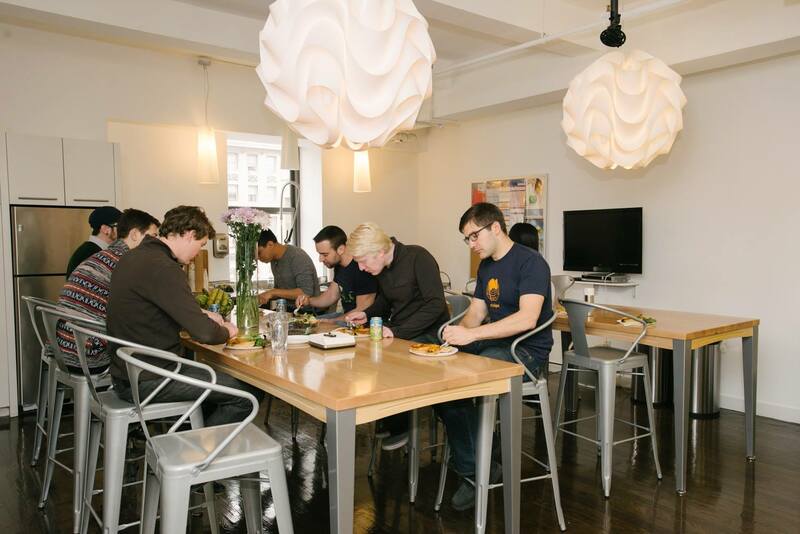 Urban Compass’ team gathering for lunch in the kitchen of its New York City office. Real estate (in New York, in particular) has such a multifaceted stakeholder basis — there are buyers, sellers, renters, agents, consumers, landlords, developers and more. The company or product that can provide value to all of these stakeholders is the one that will really change the marketplace. The most common mistake startups make in this space is they build a tool for one stakeholder as opposed to something that works for the entire stakeholder base representing the market. The importance of hiring. Hiring the right people is the best investment. I haven’t been blown away by any real estate technology. Tools that value properties have gotten a lot of attention, but the industry hasn’t really found one that truly works. Agents will have to prove their value to consumers as true advisers in a real estate transaction. There is so much information out there that it’s overwhelming to consumers. Technology can help agents harness data in a better way to provide insights and intelligence to the consumer. My biggest fear is not delivering on the promises I’ve made to the Urban Compass team about our potential to impact the real estate sector across the country. Not having a positive impact on the world around me. Leonard Steinberg. He is the most passionate, creative and driven person I’ve encountered in real estate.